Championship leader Anton De Pasquale (Lechner Racing School) won once again. 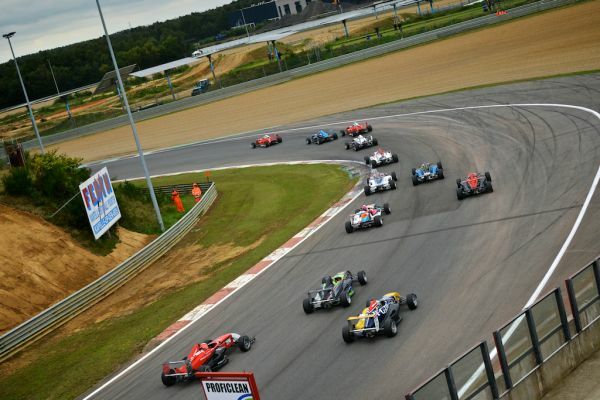 He won the second race of the Formula Renault 1.6 NEC Junior in Zolder. The Australian was in Zolder too strong for Ralf Aron (Scuderia Nordica) and Janneau Esmeijer (Provily Racing), who both, once again, were on the podium. Florian Janits (Lechner Racing School) had no hope of a second win after a slow start, the Austrian fell back to fourth place. De Pasquale saw his chance and pulled a gap of two seconds over the chasing group of Aron, Esmeijer and Janits. Despite a final offensive of the Estonian Aron, there was nothing more to do then to follow the leader in the standings. Marcel Lenerz (Stuart Racing Team) did not start in race two after the crash in race one, while Boris Kolff (Provily Racing) started well, but soon had to retire with gearbox problems.